Carmakers are delaying building more efficient models until 2019 in a bid to maximise profit margins before new EU rules on CO2 emissions kick in, according to a new report. 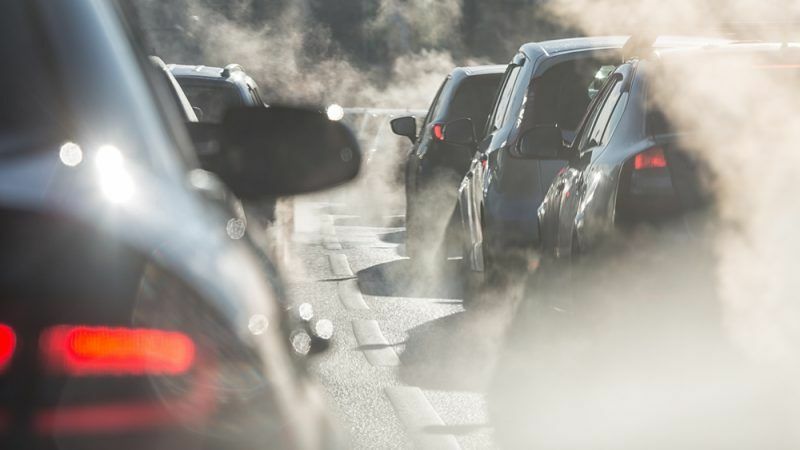 Only 6 of top 50 models were upgraded in 2017 – but 21 will be re-launched as more fuel-efficient, low-carbon models in 2019-2020, the Brussels-based sustainable transport group Transport & Environment said in its report published 10 April. Battery electric models are expected to increase five-fold to 100 by 2021, increasing driving-range, choice, and competition. That means most European carmakers – with the exception of Italian car manufacturer Fiat – are set to meet EU’s 2021 CO2 reduction targets on time, the report adds. Sharing of vehicles, coupled with congestion charges, road pricing, parking constraints and reducing road space for private vehicles represents a huge opportunity to tackle urban congestion and pollution, Transport & Environment concluded, citing a recent modelling by the International Transport Forum (ITF) that suggests more than 90% of cars could be removed from the road in Lisbon and Helsinki through ride sharing. The study comes days after German carmaker Daimler held its annual shareholder meeting (5 April) where chief executive Dieter Zetsche announced the company will make the smart car brand all-electric in Europe by 2020. It was coupled with a statement that Daimler will offer at least one electrified vehicle in every segment by 2022, without specifying if it will be a fully battery-electric or a plug-in hybrid vehicle. “Electric cars are good for C02-balance but not for the company’s balance sheet” said Dieter Zetsche. His organization won a landmark legal battle after suing local administrations in the cities of Stuttgart – home of Daimler and Porsche – and Düsseldorf over air pollution. The move opened the door for German cities to ban polluting diesel cars from entering city centres in order to reduce nitrogen dioxide levels below EU limits and thus improve air quality levels. There are around 15 million diesel cars on German roads. The German car industry has a large influence on domestic policy-making. The country is home to industry giants BMW, Daimler, and Volkswagen, which employ around 800,000 people, including suppliers. It has very strong links to policymakers: the federal state of Lower Saxony is a major shareholder of carmaker scandal-driven VW. I wonder if there any politcos out there with the courage to call time on the nonesense that Euro OEMs spount and their lack of significant action on emissions. The EC in fiarness has tried for circa 20 years with little show. Merkel is unlikely to do anything – she is beholden to this corrupt (& largely German) bunch. So much for climate change and emissions being front & centre in EU policy. No siree…..its jobs making SUVs – or as I prefer to call them “wanks” .because only w……kers drive them. Have a nice day. Does anybody remember how Mrs Merkel twisted the arm of EVERY MEMBER STATE IN THE COUNCIL when they tried to make more stringent emissions limits???? ?This would have prevented the mess with bigger cars in the streets. But Mrs Merkel TOGETHER WITH THE GONGOs was lecturing northern countries of forest managment INSTEAD OF LOOKING AT HER OWN COUNTRY’S MESS!!!! ECBundesbank – go man go.